Leicester City fans will be offered a free beer or bottle of water at Saturday's home match with Newcastle to celebrate club chairman Vichai Srivaddhanaprabha's 60th birthday. Vichai has made the gesture as a way of thanking them for their continued support, the club said in a statement. "LCFC fans can raise a glass with Chairman Vichai Srivaddhanaprabha this Saturday, with a free Singha beer or water for all home supporters ahead of the Premier League fixture with Newcastle United," read the statement. "Vichai Srivaddhanaprabha, who celebrated his birthday on Wednesday, has laid on free beer or water for every Foxes fan attending the game. "It's to make them part of the celebrations of his milestone birthday and a way of thanking them for their continued support." It's not the first time Vichai's largesse has been extended to home fans -- to celebrate his birthday in 2016 he offered supporters a beer and a doughnut. The Thai billionaire, whose unfashionable club upset the odds by winning the Premier League title two years ago, has been in generous mood for his landmark birthday and is also giving away 60 free season ticket renewals on Saturday for the 2018/19 season. All 60 seats will be chosen at random and one winner from each stand at the King Power Stadium will be announced at halftime during Saturday's league clash with Newcastle United. The remaining 56 winners will be notified in the following days, the club said on their website. Vichai, whose fortune came from duty free shops, also paid for a teddy bear's picnic party at Leicester Royal Infirmary, extending an invitation to children being treated for long-term illnesses. The children were joined by a number of first team players, including goalkeeper Kasper Schmeichel, Nigerian international midfielder Wilfred Ndidi and Kelechi Iheanacho. 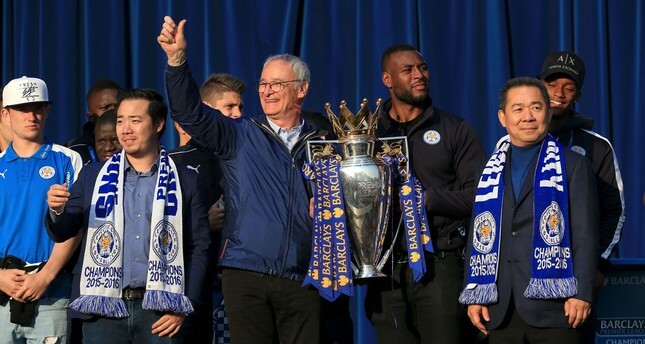 After their takeover by Thai-based company King Power in 2010, Leicester won the Championship title in 2014 and produced an inspired performance at the end of their next campaign to escape relegation from the top-flight. Leicester then defied odds of 5,000-1 to become Premier League champions for the first time in 2016 and went on to reach the Champions League quarter-finals the following season.